Strength in a leader is not in technical skills, but in the ability to combine mental agility with integrity, passion, and respect for people. A leader’s moods and emotions send strong signals across the team. Learn how to inspire others by exploring the power of your mind, and the wisdom of your heart, so that you can lead with passion, focus, and emotional intelligence. 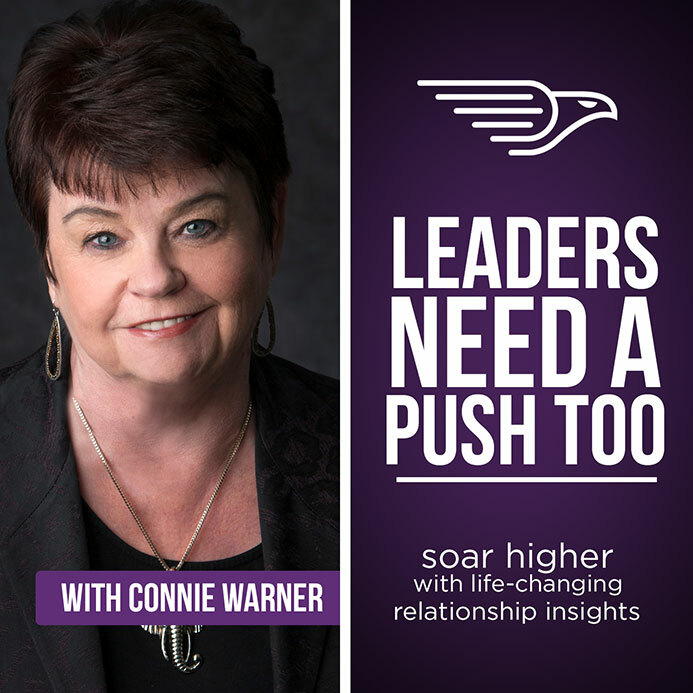 Tune in to hear Connie Warner talk about how you can become a stronger leader. I have worked with businesses, education, and all levels of government, assessing and coaching their people since 1994. I love to facilitate team building sessions that help them to build healthy cultures using emotional intelligence. The work I do today fulfills the passion of my heart and my purpose for being. I am an Executive Coach, certified in assessing behaviour, values, skills, and Emotional Intelligence. I have been assisting organizations with issues of controlling quality, and empowering their people for twenty two years. I am grateful to be able to pass on my wisdom to support leaders and their people in their professional development journey. Together with EQ Expert, Amanda Knight, we have built a never-before-released online program taking powerful tools and strategies from both of our core coaching packages. Lead Your Culture from the Inside: a Five Step Pathway to Build a High Trust Team Environment! What can we tell you? Well, there’s so much great content! All of the strategies inside will give you the results you’re looking for FAST by moving you beyond your current way of leading and into something truly profound. So get clear on how to lead a thriving culture by being a high-trust leader, and don’t miss your chance to also learn how important the role of vulnerability is in changing the way you lead. Click the button below to find out all the details. I help leaders build great team cultures by understanding how to be vulnerable and build trust in their teams. If you’re like other integrity-driven leaders I work with, you’re passionate about being the best and most trusted leader you can be. Right? None of us want to be thought of, let alone experienced as a leader who destroys trust! Which is why I’d like to share with you my Leadership Trust Assessment – a powerful diagnostic that shows you exactly how you are destroying trust as a leader without meaning to … And what you can do about it. Click the button below to find out all the assessment details and to purchase for only $7. I will send you my “Leadership Trust Assessment – how you are destroying trust as a leader …. And what you can do about it” out to you instantly via email. How developed is your view of the world and your self? How do you take on new challenges and responsibility? How can you respect yourself while understanding your strengths and weaknesses? Can you recognize what is going on for others emotionally and physically?